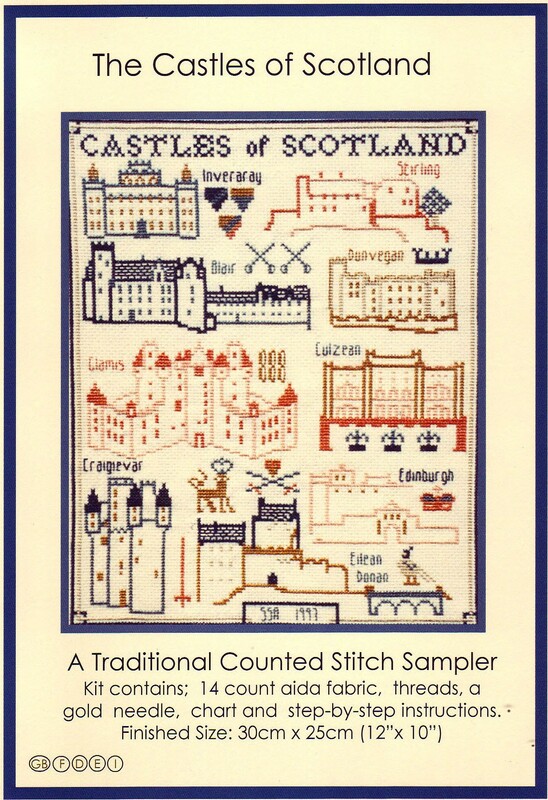 This sampler is a tribute to Scotland’s rich and glorious heritage. It depicts the famous castles of the land namely Glamis, Edinburgh, Inveraray, Stirling, Culzean, Dunvegan, Craigievar and Eilean Donan. Each castle is steeped in it’s own history with individual tales of glory, tragedy and legend and the finished sampler will undoubtedly become a focal point for discussion wherever it is displayed.